Field Fisheries Equipment There are 17 products. 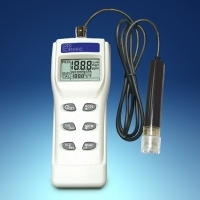 Dissolved Oxygen Meter Kit. (With 4 Meter Cable). It's easy to catch small fish for your research with this effective,low cost device. 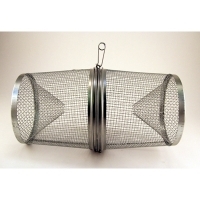 Just set one in the water in your pond or lake and return at your convenience.125-G30 Gee Crayfish Trap This trap is constructed of 1/4" (6.4 mm) square wire mesh that is galvanized for durability. It is 16" (42 cm) long and 9" (23 cm) wide with a 2.25" (57 mm) entrance hole. 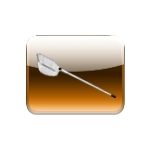 Gee Minnow Trap. 9 X 7.5". 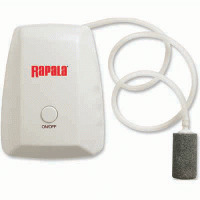 It's easy to catch small fish for your research with this effective,low cost device. Just set one in the water in your pond or lake and return at your convenience.125-G10 Gee Minnow Trap This trap is constructed of 1/4" (6.4 mm) square wire mesh that is galvanized for durability. It is 16" (42 cm) long and 7.5" (19 cm) wide with a 7/8" (22 mm) entrance hole. Bucket Aerator 7 X 5 X 3". The only good fish is not a dead one. 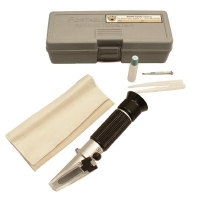 Keep your fish and samples oxygenated in the field. This quiet diaphragm pump and 24 inches (60cm) air hose can work in an area as small as a 5-gallon bucket. For both fresh and salt water.